INFORMATIONAL MEETING for NEW or returning Kentridge WATER POLO PLAYERS. Meeting is at Fairwood Country Club Pool on Wednesday August 9th at 8:00 PM. Please contact Mike McKee at 253-632-5006 for questions. Kentridge Water Polo has been in existence for 20 years, and provides an opportunity for high school athletes in the Kent/Renton area to particpate in the fast-growing sport of water polo. The boys play their season in the fall, while the girls play their season in the spring time. We have experienced coaches, and practice after school. When the season starts, we generally have two games per week, and several practices. Many former water polo players have great memories of their time at Kentridge. We have an annual Alumni game usually after Thanksgiving. Kentridge Water Polo participates in a Water Polo league that lasts for two-three months; games will be at Lindbergh High School and at some of the schools that are south to us. If you are not in the boundaries of Kentridge High School, you scan participate in all games (except for Varsity League Games). In that case, you would participate on the JV Games. Kentridge has had a number of athletes from different schools be part of our water polo program. 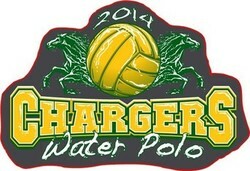 If you are interested in Kentridge Water Polo, please head to the registration page for forms. It is required that you register with USA Water Polo for insurance. This will provide basic liability insurance and secondary medical accident coverage. The cost is $40 with this mandatory registration. The cost for water polo is $325.00 for the season. We normally have a couple of fundraisers to help defray the costs. If you are a new player, the cost is $250.00, and if you are out-of-district player, the cost is $175.00. For more information contact us at [email protected] or (253) 632-5006 (Mike McKee). I can also be reached at [email protected].